During the course of a year, Young Life groups all over Australia run youth clubs and other opportunities for teenagers to get together. Right now, Young Life is asking friends in the community to get behind Young Life’s clubs and activities for youth in local towns and suburbs as regular donors. 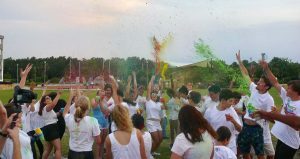 Teens join in Young Life’s Colour Fight. The impact of meeting every week, mixing with students from different schools across the age range is amazing. Without the pressure of school, teenagers can be themselves and for volunteer adults who lead the program, they get to see the beautiful, generous side of these teens. “The youth who come to our club really care for one another. They are like a family and keep inviting their friends to come. They want others to be part of it too,” says Young Life team leader Holly Lim. Holly runs the Young Life Club in Ermington NSW with the help of some talented, dedicated volunteers. “Every team member is involved in a local church and this is their way of giving back into the life of their local community,” says Holly. Recently, the team held a Colour Run in Halvorsen Park attracting 50 young people from the local area. The games and Colour Fight drew a crowd spectators who were out and about enjoying the evening. Games and challenges drew 50 teens to Young Life’s Colour Fight in Halvorsen Park. Young Life Australia is a non-denominational Christian outreach and registered charity focused on supporting young people during their High School years. It is Australian based and has been working with youth since 1972. It is active in 13 regions across the southern and eastern states of Australia. Find Young Life near you by visiting younglife.org.au/contact. 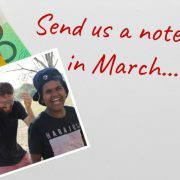 Young Life Australia is dependent on the generous support of monthly donors to provide activities and opportunities for youth as well as training for volunteers. It is currently seeking new donors. Support Young Life! Give a monthly or one-off donation towards local activities that support teens! “Being present and a part of their world matters. 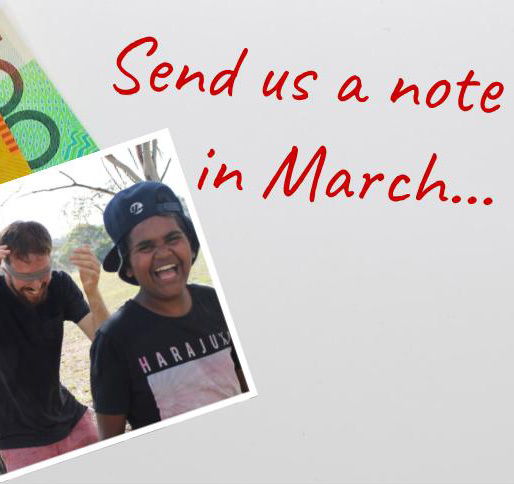 Helping to build the confidence and resilience of Australia young people matters. It’s so rewarding and we are so grateful to those who give and allow us to be part of this work with teens,” says Glyn. Young Life Australia’s vision is to build confidence, values and resilience in Australia’s young people through significant relationships with adults who model the love of Jesus Christ. Learn more at younglife.org.au.